Company Overview - Shandong Better New Energy Technology Co., Ltd.
2YRSShandong Better New Energy Technology Co., Ltd.
Our companyShandong Better New Energy Technology CO., LTD is a technology-oriented and fast-developing company which integrates R&D, design, manufacture, sales and customer service. Our company was wholly funded by SHANDONG BETTER ELECTRONICS CO., LTD which was established in 1987 and covers an area of 50,000 square meters and possess total assets of more than RMB 130 million. 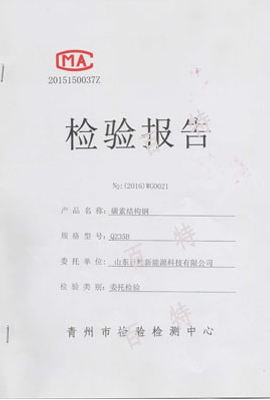 With rich industry experience, strong R&D and efficient manufacturing, BETTER has passed the evaluation of ISO9001 Quality System Management Certification and has obtained 19 national patent and lots of provincial awards by Chinese goverment.New century, creat new BETTER. We have devoted to specialize in full automatic equipments for biogas engineering, biogas assembling tank (enamel assembled tank, electrophoresis tank), dual membrane flexible gas storage cabinet/bag, biogas anaerobic digester with double membrane roof, biogas desulfurization tank, biogas boiler, biogas generator, methane booster fan, flame arrester, biogas flowmeter, solid-liquid separator and biogas torch with totalyl more than a dozen categories and hundreds of products. Our products are widely used in animal husbandry, straw fermentation and gasification, domestic waste, sewage disposal, natural gas, power plant, distillery, food factory, chemical plant and other industries. We have helped hundreds of users achieve intelligent automatic control and have obtained favorable comments from customers. With "honesty in career" business dealing and the philosophy of harmony, endeavour, practicality and innovation, we have always uphold "high-quality products and excellent services" for customers. Let's join in hand to create a glorious future.